Designed to offer the correct profile in an elegantly thin, yet exceptionally strong material. It’s design means that the bulk so often present to achieve this profile in other orthotics is not needed in PodoPro Easyfit - meaning it will fit all patients’ shoes. Introducing the new PodoPro Easyfit Orthotic, a lightweight design made to fit into most shoe types. Its polyester structure maintains an ideal foot position and is flexible but will not break under normal usage. The Easyfit is exceptionally strong and comes with a lifetime warranty. The PodoPro Easyfit Orthotic provides a self-supporting construction made of injection moulded polyester. The thin, lightweight design meets the anatomical needs of the body. 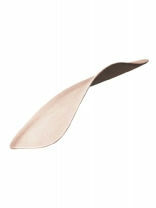 This unique insole is thin, lightweight, thermo-formable and maintains an adequate amount of flexibility at all times.